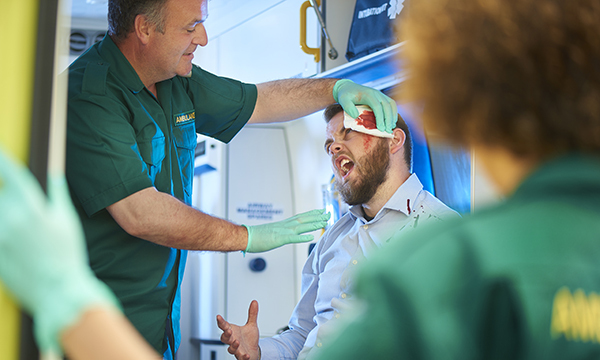 Almost one in three NHS staff fear being attacked at work, a survey has revealed as emergency staff face one of the busiest times of the year tonight. The GMB union has warned that the last Friday before Christmas is among the toughest nights of the year for ambulance and NHS staff because of work parties. The union’s survey of more than 400 NHS workers in the UK this month found that 28% consider violence, assaults and abuse as one of their main concerns at work. Martin Jackson, a nurse at Barnsley Hospital NHS Foundation Trust and a GMB member, said: ‘Our hospitals are already under enormous pressure as Christmas approaches, with a chronic lack of staff and resources jeopardising our ability to treat patients quickly and safely. The daughter of a nurse features in a campaign to help keep staff safe from violence over the winter period. 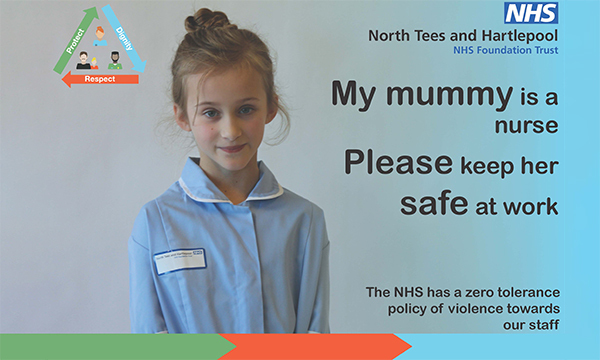 Children of healthcare workers at North Tees and Hartlepool NHS Foundation Trust star in the campaign, asking members of the public to keep their parents safe at work. The messages are displayed on hospital TV screens and the trust’s social media channels. A spokesperson for the trust said violence against staff at the organisation had reached its highest level in five years. They added that one in seven healthcare professionals had been attacked in the course of their work in England in 2016-17. One of the campaign pictures shows Ella (pictured), the seven-year-old daughter of nurse Louise Samuel, wearing her mother’s uniform.